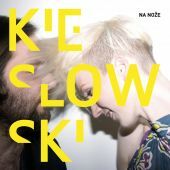 KIESLOWSKI is a new project of a musician known as DKP who was in Bez peří and Houpací koně bands and he is also a member of the backing band of Xavier Baumaxa. With the pianist Maria Kieslowski he forms a duo that relies on the intimacy and rawness of the basic acoustic guitar sound, piano and contrast of two tonally distinctive voices. The album Tiché lásky is a fragile, intimate confession about loves that we hold deep inside. Everything is wrapped in bold melodies with poetic and honest lyrics – Kieslowski is love for a lifetime.